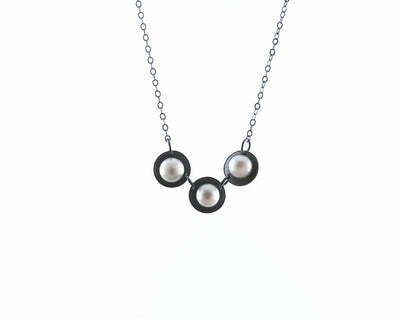 Bedazzle your admirers with this striking necklace. 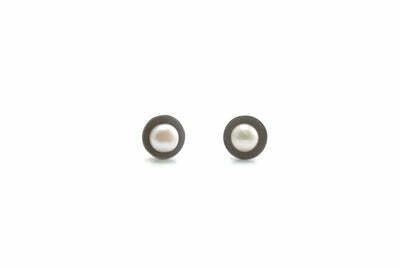 Not only is the pearl mesmerizing, but the design itself is magnetic. Simple yet bold and elegant. 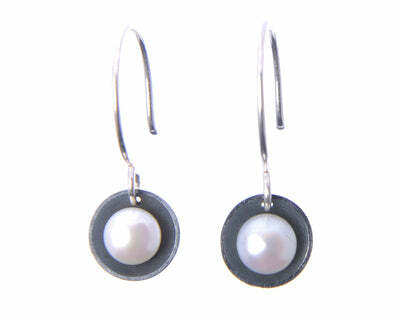 The silver is oxidized creating a lovely contrast with the white fresh water pearl. 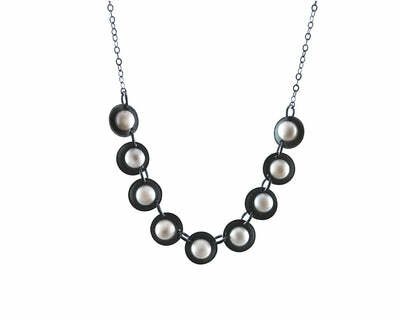 Hangs on a 17" chain, but can be made to any length upon request. The same applies to the pendant.